At the heart of what we do is our committment to engage our community by helping adults whose first or most fluent language is not English. 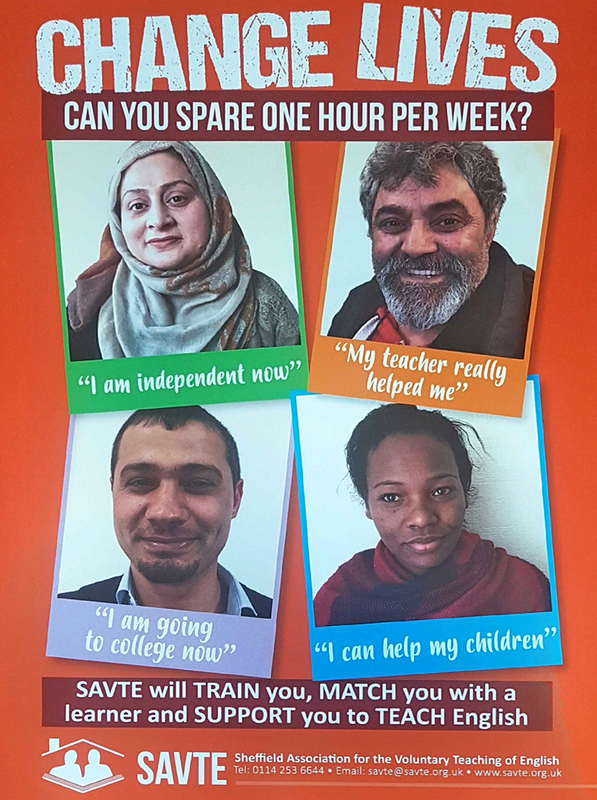 We aim to equip individuals with the English Language skills they require for everyday life and to therefore provide a vital opportunity for people to gain access to further education, employment and health resources in order for them to fully integrate and be a part of with their local and wider community. Sheffield Association for the Voluntary Teaching of English. Established 1974.